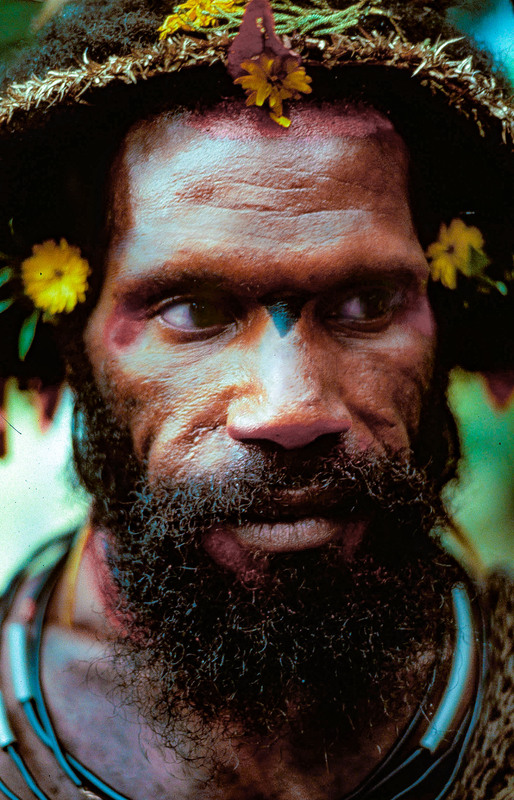 Papua New Guinea, Koroba, Wigman Yellow Flower, 1983 - Each Huli seemed to create his own personal look. I heard that the Hulis tried to emulate the male bird of paradise. The female of the species was rather plain. It was the male that did feather displays to attract the female.